Yesterday we learned that Volkswagen might be thinking of selling Ducati, because that is The Past and the company is now all about The Future. And because in The Past the whole diesel thing didn’t work out for VW, it’s going to go electric, instead. 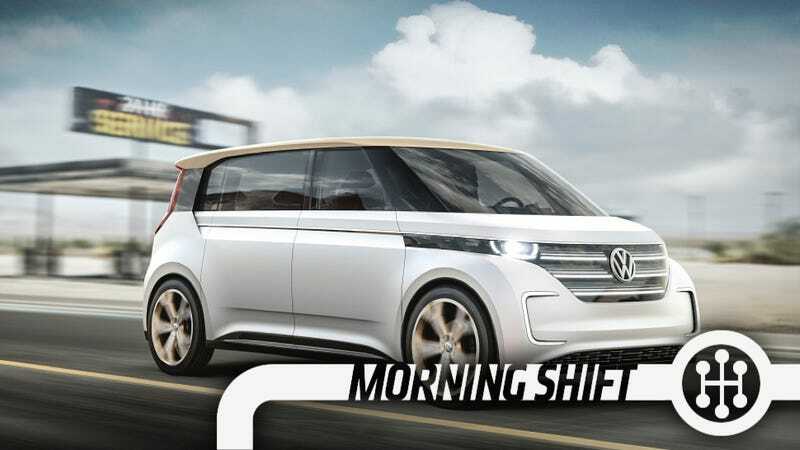 So yeah, VW just announced that it’s going to fully transform a quarter of its business, all in about a decade. That’s ambitious, even for a company that decided it wanted to push an incredibly heavy sled over 250 MPH just to say it could, and then did it. But this is a tall order, even for Volkswagen. The only electric Volkswagen I’ve ever driven was an e-Golf, and that was more of a regulatory oddball than a proper car. The company has a long way to go. Sure, it’s trotted out electric concepts under various brands here and there, but it hasn’t made a lot of noise about the electric infrastructure problem. It’s too early to see where this one will go. The plant in San Jose Chiapa in central Mexico will produce the gasoline-powered Q5 at first, but plans to introduce the electric version in the near term, said the sources, who requested anonymity. Hopefully it won’t be as bad as the e-Golf and will get more than 100 miles of range. A federal grand jury in Covington, Kentucky, returned an indictment against one current and two former Japanese automotive executives for their alleged participation in a conspiracy to fix prices and rig bids for the sale of automotive body sealing products sold in the United States. The indictment, filed today in the U.S. District Court of the Eastern District of Kentucky, charges Keiji Kyomoto, Mikio Katsumaru and Yuji Kuroda—all Japanese nationals—with conspiring to rig bids for and fix the prices of body sealing products sold to Honda Motor Company Ltd., Toyota Motor Corp. and certain of their subsidiaries and affiliates for installation in vehicles manufactured and sold in the United States and elsewhere. Automotive body sealing products consist of body-side opening seals, door-side weather-stripping, glass-run channels, trunk lids and other smaller seals, which are installed in automobiles to keep the interior dry from rain and free from wind and exterior noises. The execs each face the possibility of up to 10 years in jail and a $1 million fine. Your car probably wasn’t any more expensive because of these three, but let’s hope they just weren’t allegedly dumb enough to get caught. The original deadline was June 21st, so all it does is it gives VW an extra week. Apparently regulators will let you get away with paying a fine if you don’t meet fuel economy standards, but if you let the emissions thing go on for long enough, they will get very unhappy. And when they are unhappy about emissions, that is not good, as VW has learned with its diesels. Ford’s already said it’s going to have a hybrid pickup. But hey! Ford! Guess what!! I got a better idea!!!!!!!!!!!! Build an electric pickup. Line the underside of the bed with batteries. Give it a billion pound-feet of electric torque. Run a commercial that is nothing but a full minute of trucks silently pulling tree stumps out of the ground. Neutral: Can VW do it? Volkswagen’s at a huge disadvantage here. It’s waited too long on the electric game, and now it needs to catch up. Can VW do it? Or will it just abandon the strategy, like it did with diesels, and move on to something else when it doesn’t work?